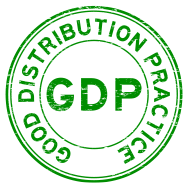 Founded in 2012, MedicaPharma began distributing niche raw materials (GMP) and has since established itself as a valuable partner in the pharmaceutical specialty chemical supply chain. 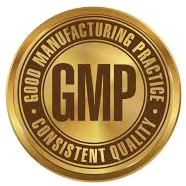 We partner with GMP manufacturers and specialty labs across the world to establish and maintain strong relationships that allow us to source the highest quality chemical products available. MedicaPharma works on a trust / transparancy basis with our suppliers and customers that appeared to be the best combination in terms of building a long term cooperation. We believe in doing things the right way – this means operating by the GMP and GDP standards and supply our customers with chemicals in the highest purity grade possible. MedicaPharma starts where others stop; due to the fact that we built a very strong relationship with our + 400 GMP manufacturers through the years, MedicaPharma is capable of supplying you with the rarest and most niche pharma grade materials in small units. No GMP manufacturer available in the whole world ? Then we have your material custom made in our GMP/GLP lab in the Netherlands to be able to serve you. Whether we are talking about niche materials such as Thiotepa, Vorinostat, Isoprenaline sulphate, Physostigmine salicylate or Psoralene ? We have it all. For certain materials such as Oxymetholone in GMP grade we sourced for more than a year within our network and were finally able to serve our customers, in many cases academic hospitals in the whole world. MedicaPharma is known with all applicable GDP / GMP regulations and the forthcoming documentation and handling requirements in regard of the supply of active pharmaceutical ingredients and narcotics. We are looking forward to cooperate with you too; contact us and we will take care of your request immediately to fulfill your actual need !